Rather than a book specific post today, I have to take a little time to check in from Kanuga Conference Center in Hendersonville, NC, where I am fortunate enough to be attending the 20th Annual North Carolina Great Teacher Seminar. I came to my first such retreat about 5 years ago, and came away excited because it was--no exaggeration--the best such educational experience I've ever encountered. And those of you who know me know that I love my English conferences. 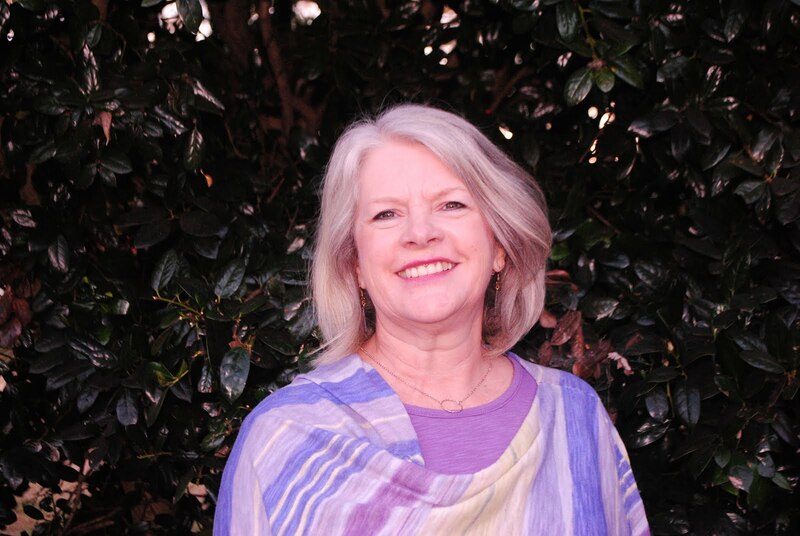 This experience is different from other conferences or workshops or seminars because it is completely tailored to the strengths and needs of the participants. The director and facilitators have no agenda to tell us what we need to know or do. Unlike other such experiences, too, we are allowed some time in the middle of the days to process what we're heard and discussed. Most of that time is spent in continuation of our talks, all in a most pleasant environment. In the introductory session, we were partnered up for introductions, and I ended up paired with Jan, one of the facilitators. Our talk turned quickly to books and music. We found that we were both avid readers with similar tastes. As others went around the room, offering their introductions, I heard several others chiming in, ". . . and she (or he) loves to read." Before we arrived here, we were instructed to bring a few things--a one-page description of an innovation we use in our classroom, one page describing a problem (or challenge), a "non-astounding teaching practice,"--and a book that has influenced our teaching. So from day one, we have a library in our meeting room, with the chance to peruse the books others brought along. Ironically, one of the "challenges" presented sounded oh-so-familiar: How can we get them to read? I know all teachers aren't readers, especially not the voracious, can't-get-enough kind of reader I am, but there's a strong chance that those who teach have a great respect--even reverence for--the written word. We can't imagine never having lost oneself in a book, much less never having read a whole book--even under duress. This afternoon, I have a little time to debrief. I'm about to type up some of the notes I've taken, lists of useful websites, ideas I want to try, others I want to share. I see already, though, that I have a new book list growing in the margin of my pages too. 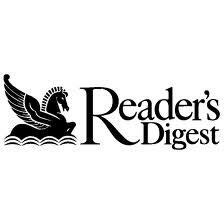 My first introduction to Reader's Digest came when I was barely literate. I had learned to write--names mostly--and as I flipped through a copy of good old RD at my grandmother's house, out fluttered one of those annoying cards. Practicing my new penmanship skills, I filled it out--my father's name and address, my grandmother's name and address, and my great grandmother's name and address. I walked it out to the mailbox, placed the card inside, lifted then flag, and promptly forgot about it--until I saw the mail truck pass. I confessed my deeds, and my dad, wearing a stern face that must have hidden amusement, promised he would pay for all three subscriptions if I would promise to administer to him the test called "It Pays to Increase Your Word Power" every month when the new issue arrived. I kept my word. As it turns out, my older relatives kept taking the magazine until their deaths, as far as I know. I suspect that amid the Southern Living and Family Circle at Mom and Dad's house, there have been copies of Reader's Digest until now. In fact, they still read the Condensed Books, which I suspect exist mainly for props at the High Point Furniture Market. I've moved away, so I have given Daddy the word power test in years, but he has continued to call me and gloat whenever he's score 19 or 20 right. I'll admit that I've done the same myself. R. I. P. little magazine. 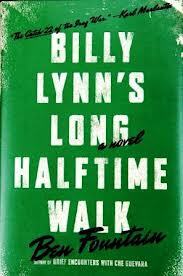 What impeccable timing--I get to add my post about Ben Fountain's novel Billy Lynn's Long Halftime Walk right after Beyonce's double billing at the Inauguration and the Super Bowl half-time pre-blackout extravaganza. This novel, nominated recently for the National Book Award, follows a 19-year-old Texas soldier--in the army to avoid jail--and his fellow members of Bravo Company, who successfully faced and defeated insurgents in Iraq. Because the experience was captured by imbedded Fox cameramen, Americans back home learned of the victory. The men are brought home for a "Victory Tour," crisscrossing the country before finishing the tour at a Dallas Cowboys game--before being shipped back to Iraq to finish their tours of duty. While Billy is certainly the protagonist of the story, Fountain fleshes out all the members of Bravo, a believable cross section of young Americans. Throughout the Bravos' tour, they are accompanied by a Hollywood producer negotiating the movie rights by cell phone, promising the soldiers hefty royalties. (Hillary Swank, by the way, is interested in playing the lead--a composite of Billy and his superior officer). While the narratives follows Billy for a short visit home with his mother, his father, now wheelchair-bound and unable to speak because of a stroke, his two sisters and nephew, the majority of the story is set in the Cowboys stadium, as the men receive VIP treatment in owner Norm Ogilsbie's private lounge, meet the iconic Dallas Cowboy cheerleaders, and even appear in the half-time show with Beyonce and Destiny's Child. The story is sometimes painful and poignant, sometimes laugh-out-loud funny as it focuses a jaundiced eye on the stateside political scene, and especially the views of the war--from naively gungho to outright protest. Fountain fairly shows the complicated, contradictory facts--maybe even truths--about war, particularly this way. Most amusing, though, is the inside view of the politics of NFL football. More than any book I've read in awhile, this one played out in my head like a movie, all the way up to the final, funny, sad, emotional farewell, as the Bravos prepare to depart in their limos, heading back to the battle zone. By that time, I'm sure, Beyonce had left the building. Labels: books; reading; Billy Lynn's Long Halftime Walk; Beyonce; Dallas Cowboys; War in Iraq.